Discover a message in a bottle that changes Emily’s life forever, while cooking divine dishes in Italian kitchens! Now Paige has fully recovered from her fever, life has settled down again in Snuggford. That is, until the entire Napoli family hears that Emily’s missing grandfather, Vitto, is still alive - and might be in Italy! Emily’s father, Eduardo, is especially overwhelmed by the news. He and his four brothers haven't seen their father, or each other, in years. Reuniting them is going to be quite a challenge... Will Emily succeed in bringing everybody together at the big family dinner? Emily’s Message in a Bottle is the 13th season of Delicious, the award-winning cooking series with a deep, personal story. 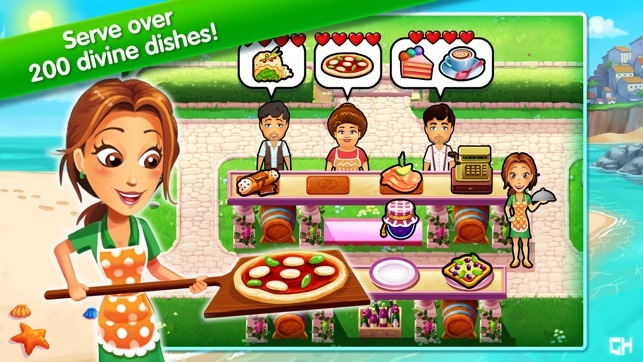 Dash through 91 levels, cooking over 200 dishes as you strive to bring the family together again. 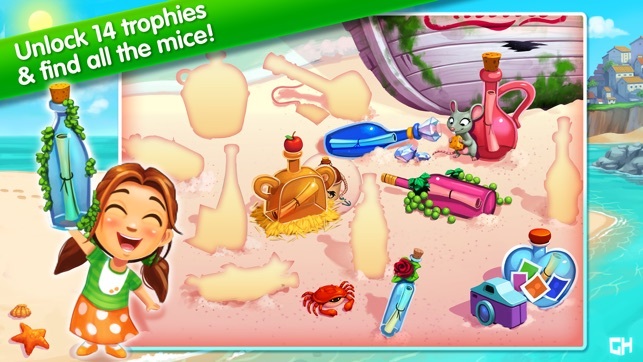 FIND HIDDEN OBJECTS – Search for secret objects and find hidden mice. Can you discover them all? Start a restaurant in idyllic Italy, where Emily will live out the next chapter of her life. 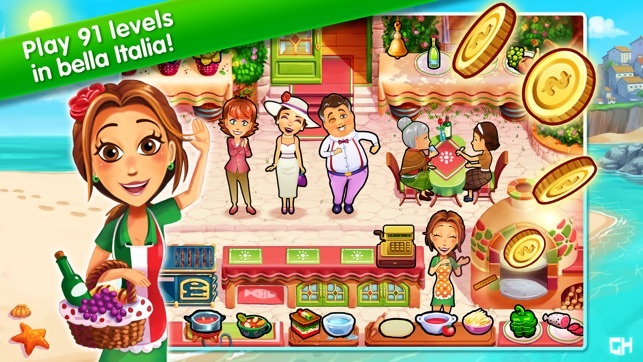 Can you manage the perfect Italian restaurant while reuniting Emily’s long-lost family? 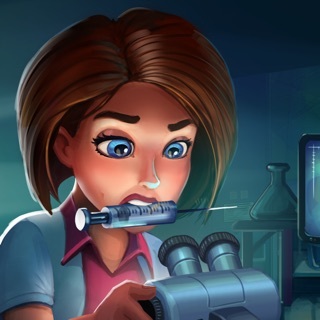 Download now and continue the story! I've always been a big fan of the Delicious games. They seem to get better with each new episode. 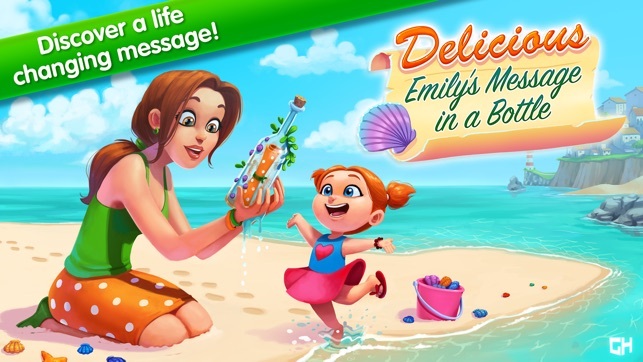 "Delicious - Emily's Message in a Bottle" is no exception. It's my favorite episode, so far. 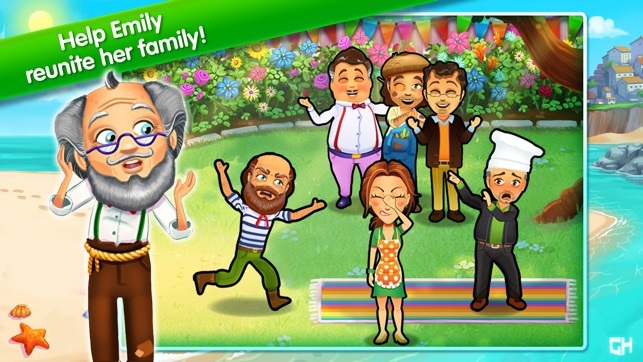 The storyline is very cute, the graphics are beautiful, the characters are fun, and the game is challenging. Oh, and Paige's mini game is just adorable! There's just one thing that stopped me from giving the game five stars. It runs slow and crashes quite a bit. I've never had this happen with any Delicious game before, so I checked my iPad for issues. I made sure that there wasn't anything running in the background, I removed apps I wasn't using, I started and restarted the iPad, but the game is still slow/jerky and it still crashes. The only possible reason I can think of is that I have an old iPad (iPad 2) and perhaps it just doesn't have the power needed to run the game as well as it should. The storyline & graphics of the game are great. I bought the complete game. I played it a few time. I cleaned up my iPad but backed it up first. I downloaded several games (I own them all). This game will only play the first level. It says I have to buy the in-apps. I did this when I bought the game. Restore does not work. Removing game & downloading it again does not work. I was told to re-purchase the entire game again it would not charge me. It did charge me. The downloaded game froze halfway through level 3. I enjoy this game but no one in the APP support group could fix it. Thanks for your feedback. Have you already emailed our support team? If not, could you please write us at ghos@gamehouse.com with more information so that we can help you out (please mention the game, the bug, what device you play on and the iOS version it runs). Thanks for your help! Love the Game but customer support needs some help. When I did the most recent update, it began telling me that I needed to pay for the game again I order to play it ad free. I didn't hear back so I went and did research found I was not the only one with this problem and searched for what their solution was which is find the restore button press that and it was fixed. so far no request for me to pay again. Thanks for your feedback. If you have already purchased the game you should not be seeing ads, I am sorry to hear you are. You can restore your purchase by clicking the Restore button in the game settings. If you continue to have trouble please mail us at ghos@gamehouse.com.